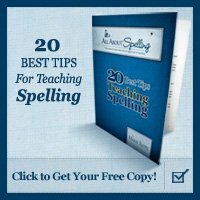 Teaching your child to spell using a homeschool spelling workbook can sometimes help them be a good speller, but often children need more spelling reinforcement than just a workbook. Some children are natural spellers and need very little spelling instruction and other children require lots of help and still struggle. 1. Copy anything they can get their hands on. Your child can copy Bible passages, famous quotes, poems, or anything else that might interest him/her. Writing correctly spelled words over and over again will help them get in the habit of spelling words correctly. If your child doesn't copy words correctly, then you may need to address that issue with other methods. Most children can copy words from a book to their paper without any trouble though. 2. Check their writing when they write a story or note. If you see your child misspell a word, make either a mental note or physical note to go over the spelling of that word. You probably shouldn't do it right away, but at some point in the future when you are working on spelling words. You can include it with his/her weekly spelling list or just keep a running list with you so that you can orally quiz those words when you are in the car or waiting for an appointment. 3. Use a computer to write a story. Although children need to learn good handwriting skills, the occasional use of a computer word processing program can be very handy for learning how to spelling words correctly. Have your child write a story or an email and let the program find the misspelled words in their document. Your child will wonder why a particular word is underlined in red. This will be a perfect opportunity for them to look up that word and figure out how to spell it correctly. Who wants to write an email or paper with a bunch of words underlined in red? This will provide a natural correction process that will help your child want to spell correctly. 4. Write lots of lists. If your child is getting ready for a trip or overnight visit to Grandma's house, have them make a list of what they want to bring. Look for opportunities to make lists at other times too. If you are in the car and remember something you need to buy, have your child get out a piece of paper and pen and write down the item for you so you don't forget. You can get your grocery list made this way too. Just have your child write down everything you say and let them add some items of their own that they want you to buy. I got this idea from the book Any Child Can Write. I highly recommend this book. It gives lots of great suggestions for helping your child write effectively using a low stress approach. Spellquizzer is the best homeschool spelling program I have found so far. It can be used alone or to enhance any other spelling program, with multiple children in multiple grades. This gem of a program is the first one my son wants to do each day. I wish this would have been around when my girls were little. The concept used in this software is so simple yet very effective. Spelling Power – This is a K-12 homeschool spelling program with lists for each level. Your child takes a placement test and then moves on from there. Your child only studies the words they misspell and it takes just a few minutes a day. All About Spelling - A complete homeschool spelling program for early elementary that will give you everything you need in a fun and effective way. Read my full review of this program here. Target Spelling 360 – This is a good spelling workbook program that your child can work through during the course of a year. Spectrum Spelling – If you need a low-budget option for spelling, this is a perfect program for you. 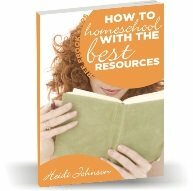 Their books are comprehensive, enjoyable for the child and very easy on your budget. Apples Spelling – If you find you have an older child that still struggles with spelling, you can use this program. It is not too elementary for an older student, yet it is simple enough to work through each day and helps reinforce important spelling rules and concepts. Phonetic Zoo – I have not used this program but have heard some really good reviews on it. This is an auditory program that includes 5 CDs for your child to listen to. Here is a quote from their description - “each spelling word is pronounced and accompanied by a rule jingle. Spelling words are pronounced for the child to pause and spell; the correct spelling is included at the end of the lesson. This auditory approach reinforces lessons in the best way for each child to learn and retain spelling words.” It is quite expensive in my opinion, so be sure this is what you want before you buy.